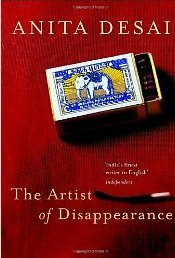 In The Artist of Disappearance, Anita Desai meditates on the private and fragile nature of the creative act. Her nostalgic visions of India are also parables of the self's search for authenticity. Anita Desai's work has often shown us the remnants of a glorious past crumbling in the glare of modern appraisal. In her 1984 novel In Custody, a tape recording of a fictional Urdu poet called Nur Shahjehanabadi, attempting to document the glory of his oral tradition, succeeds only in picking up the sound of a drunkard in a brothel telling inconsequential stories and repeatedly reciting a Keats poem. After Partition, most of India's schools and universities of Urdu were closed, so Nur is seeking to sustain a tradition that no longer receives any institutional support – he lives in an alcoholic's nostalgic world of memories and dreams. In a nation-state with as many languages as India has, language politics is sure to be contentious. The story “The Rooftop Dwellers,” in Desai's 2000 collection Diamond Dust and Other Stories, (2000) explores a political environment where the publication of a bad review of a short story collection written in Hindi can be interpreted by a reader as an attack on the Hindi language itself. “The Man who Saw Himself Drown,” from the same collection, features a sort of “artist of disappearance.” The protagonist discovers a drowned man who resembles him. The body is taken to be his, and he realizes he has the freedom to start a new life. “What happiness, we think, to end the dull, wretched, routine-ridden, unfulfilling life we lead, and to begin on another – filled with all that our heart desires.” It's a parable about the way following your dream, your private language, can marginalize you -- yet with the suggestion that disappearance itself can be an artform. Many of Desai's characters feel like they're drowning, find that the moment of realizing what they want is also a moment of disillusion, and are creatively driven to conceal rather than to reveal themselves. Prema becomes Devi's self-appointed editor as well as her translator, but her attempts to “improve” Devi's work only cause her more trouble. Among other things, the story shows how the qualities that enable a regional author to represent their region clash with the qualities that help them get published by a metropolis-based corporation -- just as in general the traits required to create art can conflict with the traits required to promote it. Ravi, the protagonist of the title story, “The Artist of Disappearance,” retreats to Mussoorie, the hill town in the foothills of the Himalayas where he was born. Ravi finds a hidden glade, near his childhood home, where he makes patterns with branches and berries and stones. The practicalities of life are anathema to him, “interested only in the variations and mutations of the living, their innumerable possibilities,” and it is only at Himalayan altitudes that he feels able to breathe. A film crew arrive, documenting environmental degradation – one of them finds Ravi's garden, sees a story there, and wants to film the garden, but rather than cooperate with them, Ravi vows to let his “bower” revert to wilderness. He begins a new project, putting bark, moss, and quartz into matchboxes, fabricating secret collections that he can conceal on his own person. Naturally, not many artists can afford to be so furtive. One of the filmmakers in “The Artist of Disappearance” compares Ravi to “that man in Chandigarh, a road engineer or something, who collected all the scrap from his road projects and built a kind of sculpture garden of it? Kept it hidden because the land he built it on didn't belong to him? Then it was found and he became famous?” A quick Internet search suggests that the man referred to here -- by implication, part of the inspiration for “The Artist of Disappearance” -- is Nek Chand, and it is striking to see how his own history, (available on his website), differs from Ravi's story. While employed as a road inspector, Chand made sculptures out of rocks, refuse, and pilfered construction materials on an area of land that was not being used. When local civil servants discovered Chand's work, even though the work was illegal and unauthorized, they decided to protect it and to help Chand gain recognition. Although other officials later proved less helpful, the museum became a huge tourist attraction, and it was recently reported the local airport may even be renamed after Chand. Since a work of art cannot be completely secret, what the self-effacing Ravi is really conducting is doubtless a ritual – it sounds as if he is creating a mandala, and his goal is to attain nirvana. As a representation of India, he is a nostalgic figure – shunning all forms of Western materialism, his sole goal in life to revert as far as possible into the 1940s Mussoorie which was also the scene of Desai's childhood – but taken as a parable, he satisfyingly embodies the individual's quest for meaning.